Boasts 31 Highway MPG and 27 City MPG! This Toyota C-HR delivers a Regular Unleaded I-4 2.0 L/121 engine powering this Variable transmission. Wing Spoiler, Wheels: 18 Alloy, Wheels w/Machined w/Painted Accents Accents. *This Toyota C-HR Comes Equipped with These Options *VSC Electronic Stability Control (ESC), Variable Intermittent Wipers, Vanity w/Driver And Passenger Auxiliary Mirror, Trip Computer, Transmission: Continuous Variable (CVT) -inc: intelligence and shift mode, Transmission w/Driver Selectable Mode, Sequential Shift Control and Oil Cooler, Toyota Safety Sense P, Tires: P225/50R18 AL A/S, Tailgate/Rear Door Lock Included w/Power Door Locks, Strut Front Suspension w/Coil Springs. * Stop By Today *Test drive this must-see, must-drive, must-own beauty today at Team Toyota, 400 INDIANAPOLIS BLVD, SCHERERVILLE, IN 46375. Boasts 31 Highway MPG and 27 City MPG! This Toyota C-HR boasts a Regular Unleaded I-4 2.0 L/121 engine powering this Variable transmission. Wing Spoiler, Wheels: 18 Alloy, Wheels w/Machined w/Painted Accents Accents. * This Toyota C-HR Features the Following Options *VSC Electronic Stability Control (ESC), Variable Intermittent Wipers, Vanity w/Driver And Passenger Auxiliary Mirror, Trip Computer, Transmission: Continuous Variable (CVT) -inc: intelligence and shift mode, Transmission w/Driver Selectable Mode, Sequential Shift Control and Oil Cooler, Toyota Safety Sense P, Tires: P225/50R18 AL A/S, Tailgate/Rear Door Lock Included w/Power Door Locks, Strut Front Suspension w/Coil Springs. * Stop By Today *For a must-own Toyota C-HR come see us at Team Toyota, 400 INDIANAPOLIS BLVD, SCHERERVILLE, IN 46375. Just minutes away! Scores 31 Highway MPG and 27 City MPG! This Toyota C-HR delivers a Regular Unleaded I-4 2.0 L/121 engine powering this Variable transmission. Wing Spoiler, Wheels: 18 Alloy, Wheels w/Machined w/Painted Accents Accents. * This Toyota C-HR Features the Following Options *VSC Electronic Stability Control (ESC), Variable Intermittent Wipers, Vanity w/Driver And Passenger Auxiliary Mirror, Trip Computer, Transmission: Continuous Variable (CVT) -inc: intelligence and shift mode, Transmission w/Driver Selectable Mode, Sequential Shift Control and Oil Cooler, Toyota Safety Sense P, Tires: P225/50R18 AL A/S, Tailgate/Rear Door Lock Included w/Power Door Locks, Strut Front Suspension w/Coil Springs. * Visit Us Today *You've earned this- stop by Team Toyota located at 400 INDIANAPOLIS BLVD, SCHERERVILLE, IN 46375 to make this car yours today! Delivers 23 Highway MPG and 20 City MPG! This Toyota Tacoma 2WD delivers a Regular Unleaded I-4 2.7 L/164 engine powering this Automatic transmission. Wheels: 16 x 7J+30 Style Steel Disc, Urethane Gear Shift Knob, Transmission: 6-Speed Automatic -inc: electronically controlled w/intelligence. *This Toyota Tacoma 2WD Comes Equipped with These Options *Toyota Safety Sense P, Tires: P245/75R16 AS, Tailgate Rear Cargo Access, Steel Spare Wheel, Sliding Rear Window, Single Stainless Steel Exhaust, Side Impact Beams, Seats w/Cloth Back Material, Reverse Opening Rear Doors, Regular Composite Box Style. * Visit Us Today *For a must-own Toyota Tacoma 2WD come see us at Team Toyota, 400 INDIANAPOLIS BLVD, SCHERERVILLE, IN 46375. Just minutes away! Delivers 31 Highway MPG and 27 City MPG! This Toyota C-HR boasts a Regular Unleaded I-4 2.0 L/121 engine powering this Variable transmission. Wing Spoiler, Wheels: 18 Alloy, Wheels w/Machined w/Painted Accents Accents. * This Toyota C-HR Features the Following Options *VSC Electronic Stability Control (ESC), Variable Intermittent Wipers, Vanity w/Driver And Passenger Auxiliary Mirror, Trip Computer, Transmission: Continuous Variable (CVT) -inc: intelligence and shift mode, Transmission w/Driver Selectable Mode, Sequential Shift Control and Oil Cooler, Toyota Safety Sense P, Tires: P225/50R18 AL A/S, Tailgate/Rear Door Lock Included w/Power Door Locks, Strut Front Suspension w/Coil Springs. * Visit Us Today *Stop by Team Toyota located at 400 INDIANAPOLIS BLVD, SCHERERVILLE, IN 46375 for a quick visit and a great vehicle! Boasts 35 Highway MPG and 26 City MPG! This Toyota RAV4 delivers a Regular Unleaded I-4 2.5 L/152 engine powering this Automatic transmission. Wi-Fi Connect Mobile Hotspot Internet Access, Wheels: 17, Urethane Gear Shift Knob. * This Toyota RAV4 Features the Following Options *Trip Computer, Transmission: 8-Speed Automatic, Transmission w/Driver Selectable Mode, Sequential Shift Control and Oil Cooler, Toyota Safety Sense (TSS) 2.0, Towing Equipment -inc: Trailer Sway Control, Tires: P225/65R17 AS, Tailgate/Rear Door Lock Included w/Power Door Locks, Systems Monitor, Strut Front Suspension w/Coil Springs, Steel Spare Wheel. * Visit Us Today *Treat yourself- stop by Team Toyota located at 400 INDIANAPOLIS BLVD, SCHERERVILLE, IN 46375 to make this car yours today! Delivers 31 Highway MPG and 27 City MPG! This Toyota C-HR delivers a Regular Unleaded I-4 2.0 L/121 engine powering this Variable transmission. Wing Spoiler, Wheels: 18 Alloy, Wheels w/Machined w/Painted Accents Accents. * This Toyota C-HR Features the Following Options *VSC Electronic Stability Control (ESC), Variable Intermittent Wipers, Vanity w/Driver And Passenger Auxiliary Mirror, Trip Computer, Transmission: Continuous Variable (CVT) -inc: intelligence and shift mode, Transmission w/Driver Selectable Mode, Sequential Shift Control and Oil Cooler, Toyota Safety Sense P, Tires: P225/50R18 AL A/S, Tailgate/Rear Door Lock Included w/Power Door Locks, Strut Front Suspension w/Coil Springs. * Visit Us Today *Stop by Team Toyota located at 400 INDIANAPOLIS BLVD, SCHERERVILLE, IN 46375 for a quick visit and a great vehicle! Boasts 35 Highway MPG and 26 City MPG! This Toyota RAV4 delivers a Regular Unleaded I-4 2.5 L/152 engine powering this Automatic transmission. Wi-Fi Connect Mobile Hotspot Internet Access, Wheels: 17, Urethane Gear Shift Knob. * This Toyota RAV4 Features the Following Options *Trip Computer, Transmission: 8-Speed Automatic, Transmission w/Driver Selectable Mode, Sequential Shift Control and Oil Cooler, Toyota Safety Sense (TSS) 2.0, Towing Equipment -inc: Trailer Sway Control, Tires: P225/65R17 AS, Tailgate/Rear Door Lock Included w/Power Door Locks, Systems Monitor, Strut Front Suspension w/Coil Springs, Steel Spare Wheel. * Stop By Today *Come in for a quick visit at Team Toyota, 400 INDIANAPOLIS BLVD, SCHERERVILLE, IN 46375 to claim your Toyota RAV4! Delivers 35 Highway MPG and 26 City MPG! This Toyota RAV4 delivers a Regular Unleaded I-4 2.5 L/152 engine powering this Automatic transmission. Wi-Fi Connect Mobile Hotspot Internet Access, Wheels: 17, Urethane Gear Shift Knob. *This Toyota RAV4 Comes Equipped with These Options *Trip Computer, Transmission: 8-Speed Automatic, Transmission w/Driver Selectable Mode, Sequential Shift Control and Oil Cooler, Toyota Safety Sense (TSS) 2.0, Towing Equipment -inc: Trailer Sway Control, Tires: P225/65R17 AS, Tailgate/Rear Door Lock Included w/Power Door Locks, Systems Monitor, Strut Front Suspension w/Coil Springs, Steel Spare Wheel. * Visit Us Today *You've earned this- stop by Team Toyota located at 400 INDIANAPOLIS BLVD, SCHERERVILLE, IN 46375 to make this car yours today! Boasts 23 Highway MPG and 20 City MPG! This Toyota Tacoma 2WD boasts a Regular Unleaded I-4 2.7 L/164 engine powering this Automatic transmission. Wheels: 16 x 7J+30 Style Steel Disc, Urethane Gear Shift Knob, Transmission: 6-Speed Automatic -inc: electronically controlled w/intelligence. *This Toyota Tacoma 2WD Comes Equipped with These Options *Toyota Safety Sense P, Tires: P245/75R16 AS, Tailgate Rear Cargo Access, Steel Spare Wheel, Sliding Rear Window, Single Stainless Steel Exhaust, Side Impact Beams, Seats w/Cloth Back Material, Regular Composite Box Style, Rear-Wheel Drive. * Stop By Today *For a must-own Toyota Tacoma 2WD come see us at Team Toyota, 400 INDIANAPOLIS BLVD, SCHERERVILLE, IN 46375. Just minutes away! Scores 22 Highway MPG and 19 City MPG! This Toyota Tacoma 4WD delivers a Regular Unleaded I-4 2.7 L/164 engine powering this Automatic transmission. Wheels: 16 x 7J+30 Style Steel Disc, Urethane Gear Shift Knob, Transmission: 6-Speed Automatic -inc: electronically controlled w/intelligence. *This Toyota Tacoma 4WD Comes Equipped with These Options *Toyota Safety Sense P, Tires: P245/75R16 AS, Tailgate Rear Cargo Access, Steel Spare Wheel, Sliding Rear Window, Single Stainless Steel Exhaust, Side Impact Beams, Seats w/Cloth Back Material, Reverse Opening Rear Doors, Regular Composite Box Style. * Visit Us Today *Test drive this must-see, must-drive, must-own beauty today at Team Toyota, 400 INDIANAPOLIS BLVD, SCHERERVILLE, IN 46375. Delivers 33 Highway MPG and 25 City MPG! This Toyota RAV4 boasts a Regular Unleaded I-4 2.5 L/152 engine powering this Automatic transmission. Wi-Fi Connect Mobile Hotspot Internet Access, Wheels: 17, Urethane Gear Shift Knob. *This Toyota RAV4 Comes Equipped with These Options *Trip Computer, Transmission: 8-Speed Automatic, Transmission w/Driver Selectable Mode, Sequential Shift Control and Oil Cooler, Toyota Safety Sense (TSS) 2.0, Towing Equipment -inc: Trailer Sway Control, Tires: P225/65R17 AS, Tailgate/Rear Door Lock Included w/Power Door Locks, Systems Monitor, Strut Front Suspension w/Coil Springs, Steel Spare Wheel. * Stop By Today *Test drive this must-see, must-drive, must-own beauty today at Team Toyota, 400 INDIANAPOLIS BLVD, SCHERERVILLE, IN 46375. Delivers 33 Highway MPG and 25 City MPG! This Toyota RAV4 boasts a Regular Unleaded I-4 2.5 L/152 engine powering this Automatic transmission. Wi-Fi Connect Mobile Hotspot Internet Access, Wheels: 17, Urethane Gear Shift Knob. * This Toyota RAV4 Features the Following Options *Trip Computer, Transmission: 8-Speed Automatic, Transmission w/Driver Selectable Mode, Sequential Shift Control and Oil Cooler, Toyota Safety Sense (TSS) 2.0, Towing Equipment -inc: Trailer Sway Control, Tires: P225/65R17 AS, Tailgate/Rear Door Lock Included w/Power Door Locks, Systems Monitor, Strut Front Suspension w/Coil Springs, Steel Spare Wheel. * Stop By Today *Stop by Team Toyota located at 400 INDIANAPOLIS BLVD, SCHERERVILLE, IN 46375 for a quick visit and a great vehicle! Scores 33 Highway MPG and 25 City MPG! This Toyota RAV4 delivers a Regular Unleaded I-4 2.5 L/152 engine powering this Automatic transmission. Wi-Fi Connect Mobile Hotspot Internet Access, Wheels: 17, Urethane Gear Shift Knob. * This Toyota RAV4 Features the Following Options *Trip Computer, Transmission: 8-Speed Automatic, Transmission w/Driver Selectable Mode, Sequential Shift Control and Oil Cooler, Toyota Safety Sense (TSS) 2.0, Towing Equipment -inc: Trailer Sway Control, Tires: P225/65R17 AS, Tailgate/Rear Door Lock Included w/Power Door Locks, Systems Monitor, Strut Front Suspension w/Coil Springs, Steel Spare Wheel. * Stop By Today *A short visit to Team Toyota located at 400 INDIANAPOLIS BLVD, SCHERERVILLE, IN 46375 can get you a tried-and-true RAV4 today! Boasts 33 Highway MPG and 25 City MPG! This Toyota RAV4 boasts a Regular Unleaded I-4 2.5 L/152 engine powering this Automatic transmission. Wi-Fi Connect Mobile Hotspot Internet Access, Wheels: 17, Urethane Gear Shift Knob. * This Toyota RAV4 Features the Following Options *Trip Computer, Transmission: 8-Speed Automatic, Transmission w/Driver Selectable Mode, Sequential Shift Control and Oil Cooler, Toyota Safety Sense (TSS) 2.0, Towing Equipment -inc: Trailer Sway Control, Tires: P225/65R17 AS, Tailgate/Rear Door Lock Included w/Power Door Locks, Systems Monitor, Strut Front Suspension w/Coil Springs, Steel Spare Wheel. * Stop By Today *Come in for a quick visit at Team Toyota, 400 INDIANAPOLIS BLVD, SCHERERVILLE, IN 46375 to claim your Toyota RAV4! Boasts 33 Highway MPG and 25 City MPG! This Toyota RAV4 boasts a Regular Unleaded I-4 2.5 L/152 engine powering this Automatic transmission. Wi-Fi Connect Mobile Hotspot Internet Access, Wheels: 17, Urethane Gear Shift Knob. * This Toyota RAV4 Features the Following Options *Trip Computer, Transmission: 8-Speed Automatic, Transmission w/Driver Selectable Mode, Sequential Shift Control and Oil Cooler, Toyota Safety Sense (TSS) 2.0, Towing Equipment -inc: Trailer Sway Control, Tires: P225/65R17 AS, Tailgate/Rear Door Lock Included w/Power Door Locks, Systems Monitor, Strut Front Suspension w/Coil Springs, Steel Spare Wheel. 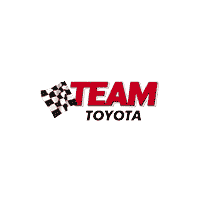 * Visit Us Today *For a must-own Toyota RAV4 come see us at Team Toyota, 400 INDIANAPOLIS BLVD, SCHERERVILLE, IN 46375. Just minutes away! Boasts 33 Highway MPG and 25 City MPG! This Toyota RAV4 boasts a Regular Unleaded I-4 2.5 L/152 engine powering this Automatic transmission. Wi-Fi Connect Mobile Hotspot Internet Access, Wheels: 17, Urethane Gear Shift Knob. * This Toyota RAV4 Features the Following Options *Trip Computer, Transmission: 8-Speed Automatic, Transmission w/Driver Selectable Mode, Sequential Shift Control and Oil Cooler, Toyota Safety Sense (TSS) 2.0, Towing Equipment -inc: Trailer Sway Control, Tires: P225/65R17 AS, Tailgate/Rear Door Lock Included w/Power Door Locks, Systems Monitor, Strut Front Suspension w/Coil Springs, Steel Spare Wheel. * Stop By Today *A short visit to Team Toyota located at 400 INDIANAPOLIS BLVD, SCHERERVILLE, IN 46375 can get you a dependable RAV4 today! Delivers 33 Highway MPG and 25 City MPG! This Toyota RAV4 delivers a Regular Unleaded I-4 2.5 L/152 engine powering this Automatic transmission. Wi-Fi Connect Mobile Hotspot Internet Access, Wheels: 17, Urethane Gear Shift Knob. * This Toyota RAV4 Features the Following Options *Trip Computer, Transmission: 8-Speed Automatic, Transmission w/Driver Selectable Mode, Sequential Shift Control and Oil Cooler, Toyota Safety Sense (TSS) 2.0, Towing Equipment -inc: Trailer Sway Control, Tires: P225/65R17 AS, Tailgate/Rear Door Lock Included w/Power Door Locks, Systems Monitor, Strut Front Suspension w/Coil Springs, Steel Spare Wheel. * Visit Us Today *A short visit to Team Toyota located at 400 INDIANAPOLIS BLVD, SCHERERVILLE, IN 46375 can get you a dependable RAV4 today! Delivers 22 Highway MPG and 19 City MPG! This Toyota Tacoma 4WD delivers a Regular Unleaded I-4 2.7 L/164 engine powering this Automatic transmission. Wheels: 16 x 7J+30 Style Steel Disc, Urethane Gear Shift Knob, Transmission: 6-Speed Automatic -inc: electronically controlled w/intelligence. * This Toyota Tacoma 4WD Features the Following Options *Toyota Safety Sense P, Tires: P245/75R16 AS, Tailgate Rear Cargo Access, Steel Spare Wheel, Sliding Rear Window, Single Stainless Steel Exhaust, Side Impact Beams, Seats w/Cloth Back Material, Reverse Opening Rear Doors, Regular Composite Box Style. * Visit Us Today *For a must-own Toyota Tacoma 4WD come see us at Team Toyota, 400 INDIANAPOLIS BLVD, SCHERERVILLE, IN 46375. Just minutes away!